Modafinil has helped many people. This article describes its actions, side effects and interactions. Therefore, read more if you are interested in this information. Mechanism of action, also referred to as MOA, is a term that refers to the way in which a drug interacts biochemically in order to produce its pharmacological effect. In other words, it doesn’t necessarily explain the anatomical effect of the drug, but instead, describes the specific molecular targets which the drug binds to in order to have an impact on the brain or body. Mechanism of action is often confused with a mode of action, which is used to describe the anatomical or functional changes caused by a drug. In the case of Modafinil, the mode of action would be things like mental alertness, reduction in physical tiredness, and increased focus. So what is Modafinil’s mechanism of action? Studies into Modafinil have found that the drug acts like a dopamine reuptake inhibitor. This means that there is an increase in the transmission of dopamine throughout the brain. Dopamine is an organic chemical which has several roles in the brain, one of which is as a neurotransmitter which means that it helps to send signals to nerve cells. Medications containing dopamine reuptake inhibitors are often used to treat conditions such as ADHD, which is caused by decreased rates of dopamine activity. By improving dopamine activity, these types of medications can improve mental focus and help individuals to fulfill tasks that require concentration. Since the Modafinil mechanism of action is as dopamine reuptake inhibitor, it can have stimulating effects on the brain and make individuals more focused and more mentally alert. There isn’t just one Modafinil mechanism of action at play when individuals take this smart drug. Studies have also found links between the drug and the body’s orexin and histamine systems, which play a big role in our circadian rhythms. The circadian rhythm is the 24-hour cycle of our physiological processes; it is what controls sleeping and waking, as well as a whole host of other aspects such as appetite and the temperature of our bodies. It is controlled by several chemicals and processes within the brain, one of which is histamine. The organic chemical histamine is partly responsible for our wakefulness. 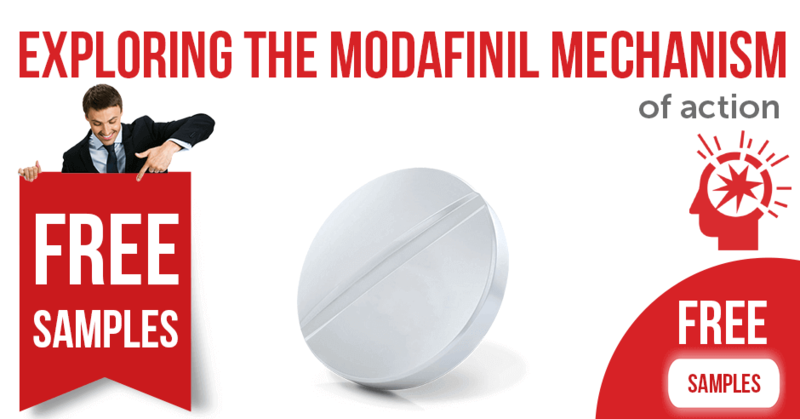 It is believed that Modafinil stimulates histamine production, and thus increases our ability to stay awake. This is why the drug is used officially to treat chronic sleep disorders which cause daytime sleepiness, and why it is loved by those who want to overcome fatigue and stay focused for hours. All of these cognitive functions are crucial for people who work in the technology industry, which is where Modafinil is particularly popular. For the likes of programmers and software engineers, having a boost in focus as well as improved ability to solve problems and plan is a sure fire way to become more productive and to produce higher quality work. As well as all these benefits, research has also found that Modafinil can help to elevate mood, so much so that experts are considering it as a potential drug for depression and seasonal affective disorder. This added benefit is particularly useful for individuals who work long night shifts, which can be mentally draining and cause low moods. The mood-lifting benefits of Modafinil are also brilliant for students with looming exams or any overworked employee who needs a mental boost to keep their spirits high at the most stressful of times. With the Modafinil mechanism of action producing such fantastic results, many people expect the drug to have some scary side effects to make up for all of its wonderful benefits. As with any type of drug there are always potential side effects, but the reason so many people love Modafinil is that side effects are relatively rare, and any that are experienced are so minor that the benefits of the drug far outweigh the negative aspects. This includes things like nausea, headaches, dizziness, dry mouth and appetite loss. Despite this, it is always important to be aware of all the potential side effects of any drug you consume and to be vigilant each time you take it in order that you can recognize serious problems and consult a doctor. Check out our full list of Modafinil side effects for more information. When discussing the Modafinil mechanism of action and the ways in which the smart drug affects cognitive function, we can’t help but mention the truly fascinating way that it interacts with alcohol. It is strongly advised not to drink alcohol immediately after or even a few hours after Modafinil, as it can cause a blackout state. However, if individuals take Modafinil during the morning and do not drink alcohol until the evening, the drug interacts with the alcohol much differently. Since the brain is able to function at a higher level, then, usual with Modafinil, it appears to become relatively immune to the effects of alcohol. You may experience flushed skin, an increased urge to urinate and all the other bodily effects of excessive alcohol intake, but the brain will be sober, and you’ll be able to speak clearly and coherently as though you hadn’t had a drink at all. The effects will certainly be felt the next day though, because once the Modafinil is out of your system, you will feel incredibly hungover for that excessive alcohol consumption! Since Modafinil works to stimulate the brain, it is usually not recommended to consume coffee whilst the drug is in the system, as overstimulation may occur and could actually make it harder to focus, rather than easier. The same goes for other soft drinks that contain caffeine, such as cola and energy drinks. You should also be careful to avoid medications that control caffeine, such as many over the counter cold and flu medications. If you’ve been fascinated reading about the mechanism of action and the impressive effects of Modafinil, why not try the smart drug for yourself? With prices from as little as $1 to $2 per tablet, it’s an incredibly affordable way to supercharge your brain and really make the most of your mind’s powerful abilities. Browse our online store now or try a free trial pack to see how this incredible drug will unlock your hidden potential. Order free Armodafinil samples & get it delivered by mail within a week!